What can Aspirantic do for you? Aspirantic analyzes developer activities from all over the web to combine information about technical talents - our proprietary algorithms leverage data from sources such as Github, Bitbucket, Meetup and Stackoverflow, to name a few. These engineers get ranked by their skills using machine learning and big data analytics. 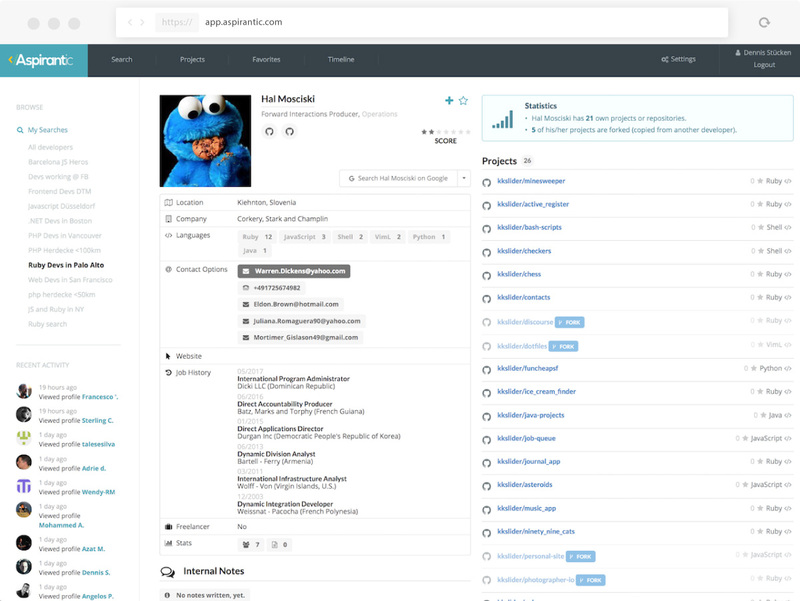 What you receive is a profile including all contributions, skills, contact details and social media activities at a glance. More information about our Skill-Score(TM). We do the search and assess the qualification, you just need to pick the best match. This is rocket science for your recruiting process. Discover profiles of IT talents, that are currently only active on their tech platforms. 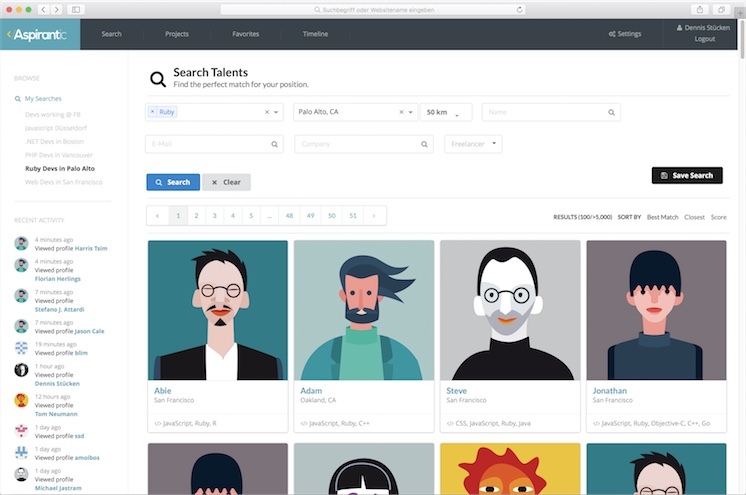 Use our advanced filters to efficiently target the best candidates for your company. 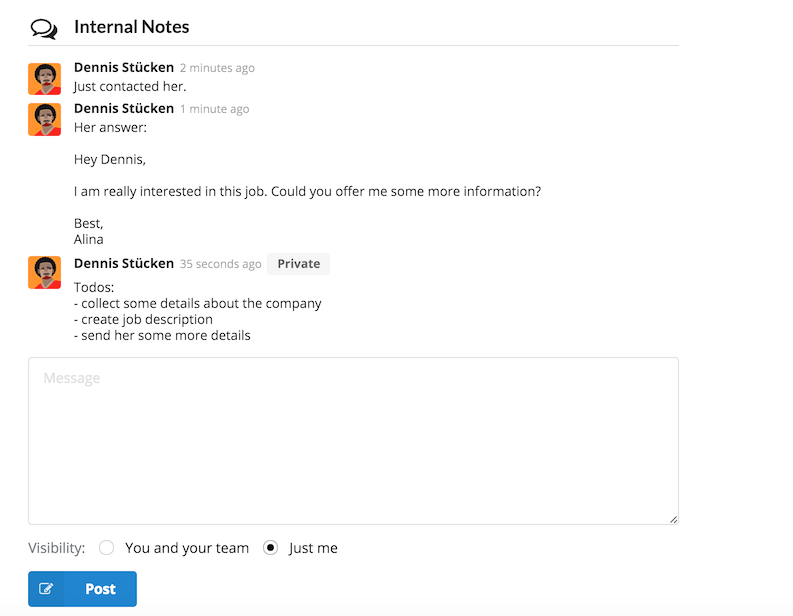 Star and share notes on candidates with the rest of your team. Organize your recruitment process with projects and remember potential candidates with them. Detailed Profiles and Social Media Connections. Location, contact details, programming languages, projects, social profiles, everything you need to identify a good match to your job advertisement. Currently we store over 20 million passive candidates in our profile aggregation database. Social Media Profiles of 20 million candidates. 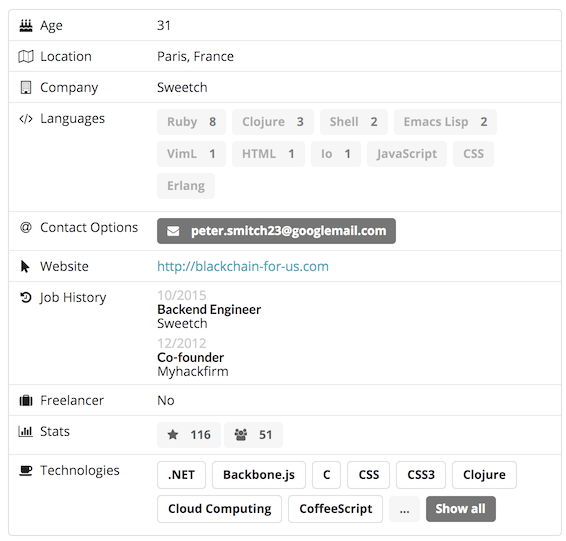 All Skills, job history and contact details at a glance. 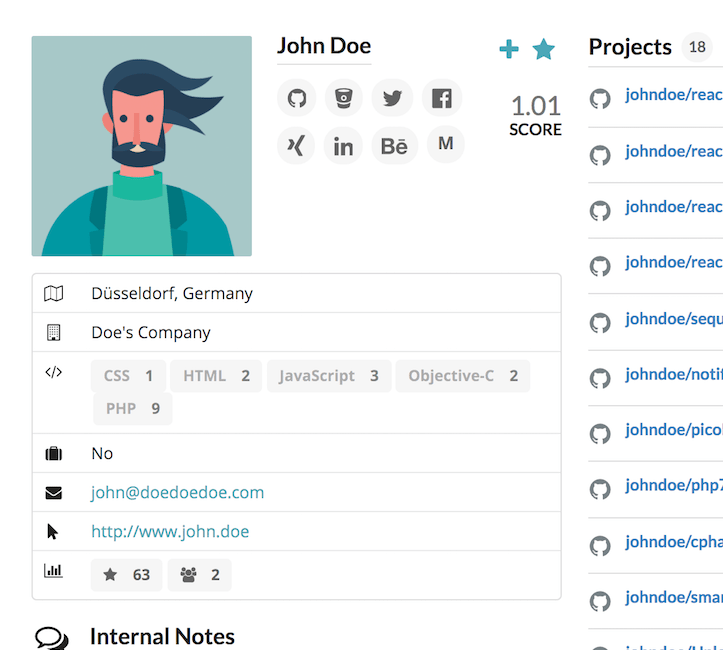 The quality of a candidate is automatically classified in an overvall-score. No matter whether you search for specific skills - or full-stack. Interested? 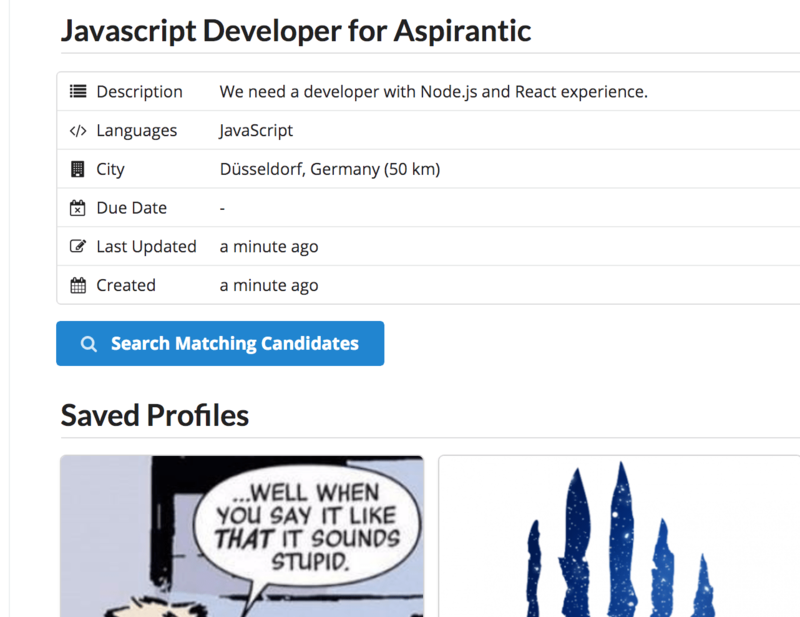 Try Aspirantic now for free! Made with </> in Germany.